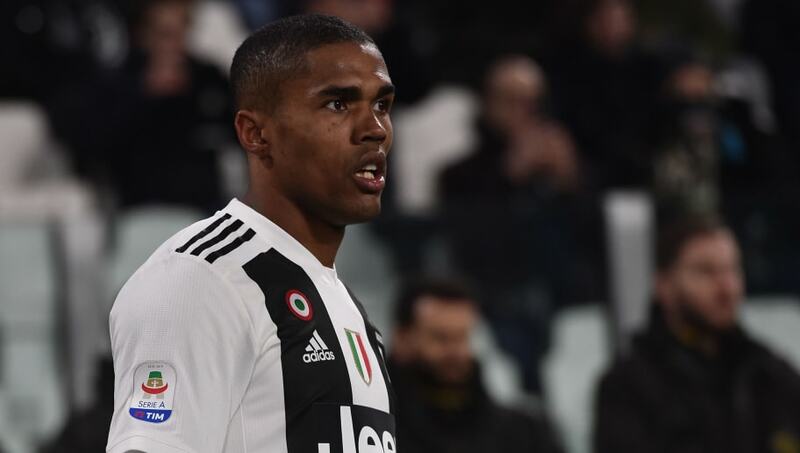 ​​Juventus star Douglas Costa has sent ​Manchester United fans into frenzy after liking a post on Twitter which linked him with a move to Old Trafford in the summer. The winger is said to be a long-term target for United, who reportedly launched a £54 million bid for the Brazilian last December. The 28-year-old who is currently recovering from a horrific car crash which he was involved in last week, has struggled make a definite impact for the Turin giants this season, netting only one goal in 17 league appearances. The Brazilian's social activity has got fans talking after he liked a post on the Sport Musing news site, quoting Italian outlet Calciomercato, linking him to Old Trafford. The winger quickly unliked the post, though it was a little too late as it had already led to a discussion on his future on Twitter. Costa was reportedly on United's radar, as a replacement for Alexis Sanchez who has flattered to decieve ever since he made the move to Old Trafford from Arsenal. However, nothing came out of the reported interest and it looks unlikely that they will make a move for him after looking at how interim manager Ole Gunnar Solskjaer has re-energised the club following the sacking of Jose Mourinho.